I don't understand why anybody would want to get involved in this. What a waste of time, money, and paper. That's an Eric Pantalone scam. He's since moved to New England and started up Franklin's Gift Club, among other scams operating under the fictitious business name "Way To Money Publications." The stamp maxcimizer scheme is very similar to John Busser's old Priority Wealth Network scheme, which the Postal Inspection Service came down on like the proverbial 800 lb. gorilla. Let me put this delicately... Brad Kamanski considers Busser a scammer to be avoided like an Ebola-carrier. So, what DOES happen if "everyone enrolls just 5 people a week"
Would you like to gamble you are not number 625,001 ?? The only person who is happy is the "monitor"
He has received 100 stamps from every person in the pyramid. 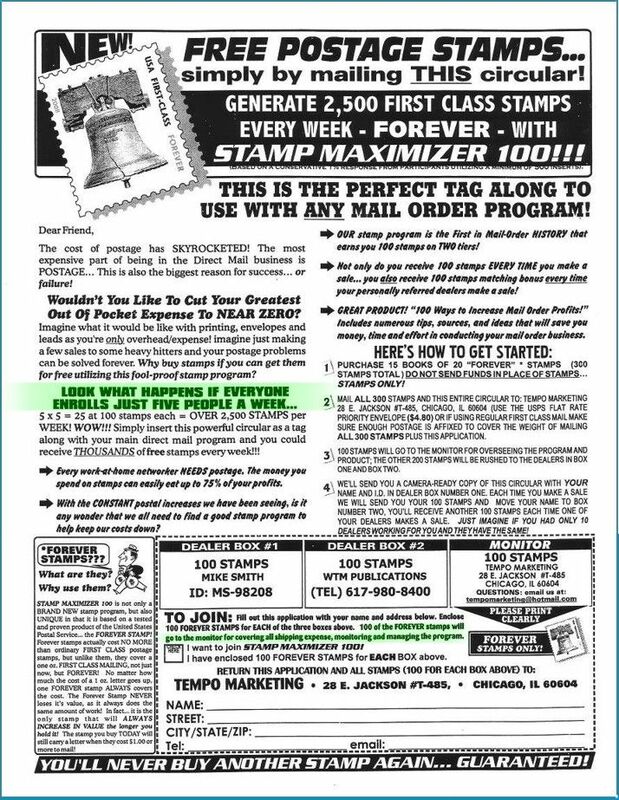 And, that's exactly what STAMP MAXIMIZER 100 is - a perfect example of a "PYRAMID SCHEME"
Send off your stamps, but make sure you kiss them goodbye as they leave - you'll never see them again.